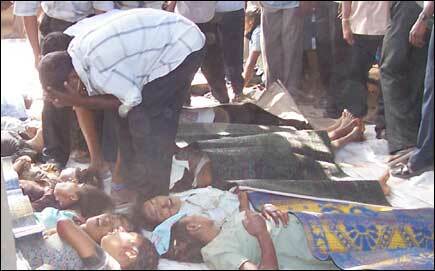 Tamils around the world today remember the 10th anniversary of the massacre of 53 school girls by the Sri Lankan air force. 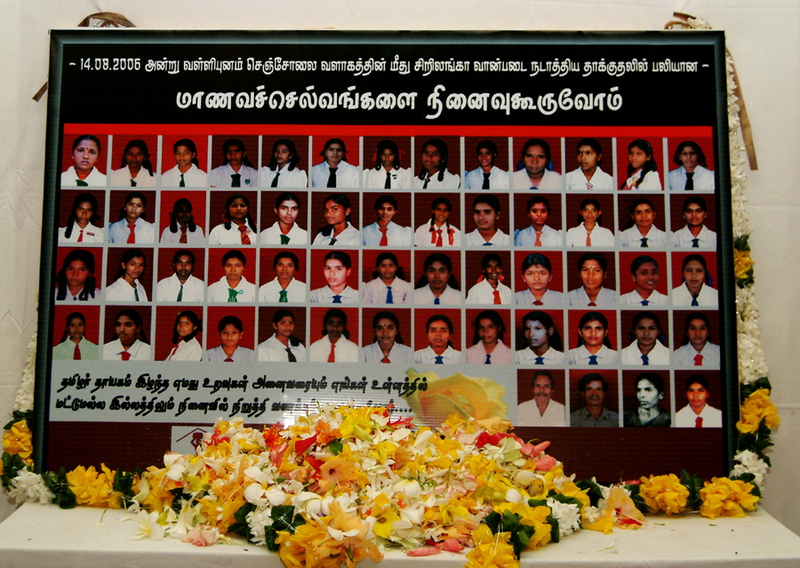 On August 14th, 2006 four Sri Lankan air force jets flew over the Vanni and dropped sixteen bombs were dropped over the Sencholai children's home for orphans, killing 53 school girls and 3 teachers. The children's home had been designated a humanitarian zone and its GPS coordinates had been passed to the Sri Lankan military via the UN children’s agency, UNICEF, and the International Committee for the Red Cross (ICRC). “We have studied this for three years and know what was going on," claimed Sri Lankan government spokesperson Keheliya Rambukwella. "If the children are terrorists, what can we do? The fact is that gender or the age limit is of no concern when it comes to training and when it comes to soldiers, because they are carrying arms in order to kill the enemy." That claim was rejected by international ceasefire monitors of the Sri Lanka Monitoring Mission (SLMM) and UNICEF. "These children are innocent victims of violence," said Ann M. Veneman, Executive Director of UNICEF said in a statement. UNICEF’s Colombo chief, Joanna VanGerpen told reporters: "we don't have any evidence that they are LTTE cadres... From what we understand at this point, these children were from surrounding communities." UNICEF staff from a nearby office immediately visited the compound to assess the situation and to provide fuel and supplies for the hospital as well as counselling support for the injured students and the bereaved families. Ms Van Gerpen told reporters, “We visited the site and saw severed limbs that were there". Speaking to the BBC, she also said, "We did see more than 100 [wounded] in the local hospitals, some with loss of limbs, head and shrapnel injuries." SLMM monitors said they found at least 10 bomb craters and an unexploded bomb at the site. SLMM official inpsecting the site of the bombing in 2006. A survivor of the attack, Paranthan Hindu Mahavidyalam student Mary Arulappan Juliet, recalled the horror of the massacre, in an interview just days later. "As the bombs fell, the girls ran in all directions, and took cover by lying on the ground face down, hoping that the bombers will go away after attacking once. But the Kfir jets returned firing additional munitions directed to our facility," she said. "There was chaos within the Sencholai premises with each round of bombing, as more students were getting wounded severely and getting killed. In between air strikes, the girls changed their cover locations by running to other positions to take better cover". "In the aerial strikes, many died on the spot, and many were wounded, most had multiple injuries, some lost their limbs, some had severe burns. All the girls were pleading for help, pleading to be taken to a hospital." See another survivor's account based on interviews with Together Against Genocide here. 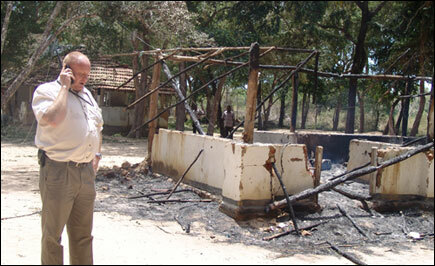 The attack drew outrage from Tamils in the North-East and across the world. Protests and vigils were held across Europe, including in London, Geneva, Palermo and Oslo as well as in South Africa. 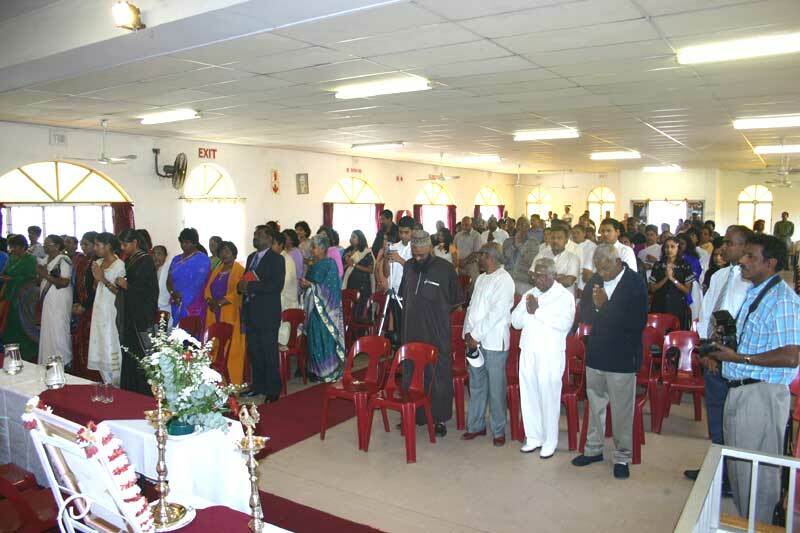 Meanwhile protests were held across the Tamil homeland, with hartals in Vavuniya, Trincomalee and Mannar. Protestors in Geneva, Switzerland condemning the attack. Protestors in Batticaloa held a march condemning the attack. 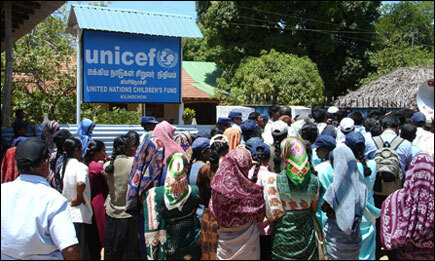 In Kilinochchi, demonstrators gathered outside the UNICEF office the day after the bombing. The Tamil Nadu State Assembly passed a resolution stating the bombing was an "uncivilised and inhumane act", with members of the Dalit Panthers of India (DPI) walking out of the legislature later in protest against the Indian government's silence over the attack. Parties across the political divide condemned the attack, with Chief Minister Karunanidhi saying the killing was "atrocious" and Tamil Nadu Electricity Minister Arcot N Veerasamy warning, "No political party in the state will accept the brutalities meted out to the Tamils by the island government". However, the air strike on the schoolgirls did not draw condemnation from the Co-Chairs of the peace process - US, UK, EU and Norway. “The heavy aerial bombardment on the premises clearly indicates that the attack was premeditated, deliberate and vicious. The heavy repeated aerial bombardment of the same premises clearly indicates the bombing was definitely not accidental. The ferocity of the attack clearly indicates that its objective was to cause the maximum possible casualties. The objective was to kill the maximum number of Tamil children. See details of victims here and here.